News - Is the TPS effective? Consumers can give their consent to marketing in many different ways, sometimes without knowing, such as by ticking a box on an online sales form. This means they can continue to receive legitimate sales calls while they’re on the TPS register, even though they still might consider them a nuisance. A taskforce has been set up to look at the issue of marketing consent. 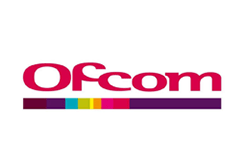 OFCOM has a duty to keep and maintain this ‘opt-out’ register and the Direct Marketing Association (DMA) operates the TPS register under licence from OFCOM. It’s the Information Commissioner’s Office (ICO) that has lead responsibility for taking enforcement action against companies that call people registered with TPS without their prior consent. OFCOM and the ICO commissioned a study to measure the effectiveness of the TPS is and whether it reduces the number of live marketing or sales calls received. It found that by registering with the TPS calls were reduced on average by 31%. That said, it’s difficult to know the true impact of consumers opting in elsewhere and essentially overriding the TPS regulations so this figures can only in itself be an understatement of true effect of the TPS. It’s important to recognise that people on the TPS register are much more likely to be completely free of unsolicited live marketing sales calls. Nearly half (45%) of those registered with the TPS as part of the study did not receive any live sales calls, compared to a quarter (26%) of those who were not. This too may support the fact that the TPS does work but that consumers are opting in to receive calls elsewhere. While the TPS exists to help reduce live sales and marketing calls received by consumers, the study found that registering also triggered a reduction in the total volume of all types of nuisance calls. This includes silent and abandoned calls and recorded marketing messages. Registering with the TPS resulted in an average 35% fall in the volume of all nuisance calls and text messages. “It’s encouraging that people who register with the Telephone Preference Service see a significant reduction in nuisance calls.” said Claudio Pollack, OFCOM’s Consumer Group Director. OFCOM and the ICO will use this research to justify making it easier for the ICO to take enforcement action against companies who break the rules. 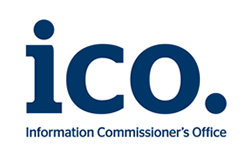 The Government has recently made legislative changes to make it easier for OFCOM to share intelligence with the ICO, which may help the ICO take enforcement action. This is due to come into force by October 2014. OFCOM and the ICO are also members of a taskforce set up to look at whether the rules on marketing consent are working in the best interest of consumers. The research findings will help to inform discussions about this issue and any subsequent recommendations made to Government.